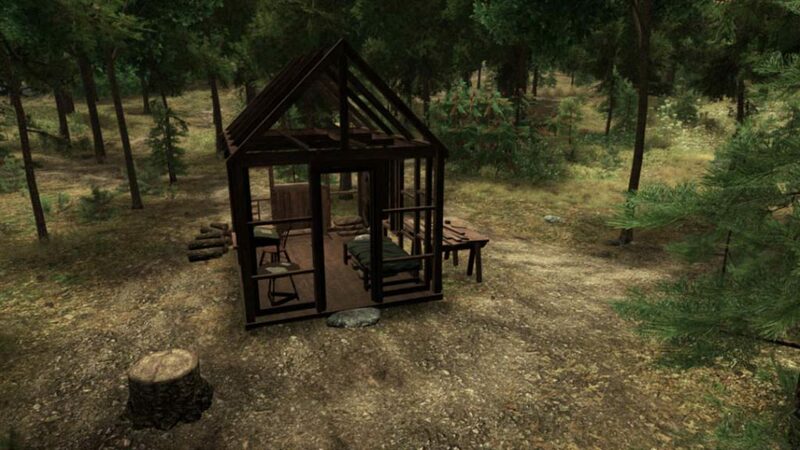 In this first-person simulation, the player relives American philosopher Henry David Thoreau’s experiment of a self-reliant life at Walden Pond, in the middle of the 19th century, as recounted in his book Walden. 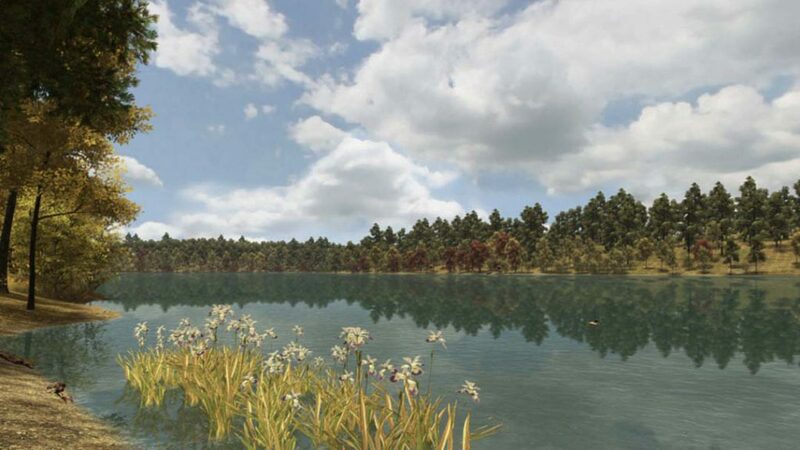 Reenacting Thoreau, the player will live through 24 days at Walden Pond but experience a year’s worth of challenges as the season changes from summer to autumn, winter, and spring. Days go by quickly, and yet they must find time to work, explore, and seek inspiration in order to both meet their basic needs as well as reflect and feel inspired. Labor at Walden Pond encompasses a variety of simple and hard tasks: gathering fruits, tending to the garden, fishing, sewing, chopping wood, etc. These actions enable the player to replenish their food and fuel supplies as well as make some money, but they aren’t enough to live – and focusing only on these tasks necessary to survival will drain Thoreau’s inspiration. To feel inspired and connected with life, the player must also explore their surroundings, listen to the sounds of nature, spend time in solitude, read, or interact with animals and humans. All these actions can be done at Walden Pond, at Thoreau’s friend Ralph Waldo Emerson’s nearby home, or in the village of Concord. Also scattered around the world are arrowheads to be collected – a game device enabling the player to discover Thoreau’s reflections and memories. (The more inspired you are, the more arrowheads you’ll find.) At the end of each day, the player goes through their journal entry, which comprises all of Thoreau’s musings while exploring during that particular day. Walden, a Game brilliantly immerses the player in their surroundings as they take in the interrelations between humans and nature. The sounds of nature combined with the soft music provide a calm, peaceful atmosphere. Playing with headphones on is a treat – you’ll more easily locate that singing bird, croaking bullfrog, or (if you’re out late) hooting owl thanks to bidirectional sound. Some aspects of the game that might make it more challenging for students are the lack of guidance (although a lot of information is provided in the game’s help section, few tips are dispensed in-game – it took me a few “days,” for example, to figure out how to assess my inspiration levels) and the sheer quantity of text to read. That being said, understanding everything that appears in Thoreau’s journal entries isn’t essential to enjoying and learning from the game. According to the official website, Walden, a Game isn’t an educational game per se, but I believe it would spark great reflections and discussions in the middle or high school classroom. For example, what do students think of Thoreau’s assessment that the necessaries of life are food, shelter, clothing, and fuel? Have those needs changed or expanded today? Do they agree that life’s true problems can’t be contemplated when those needs aren’t met? 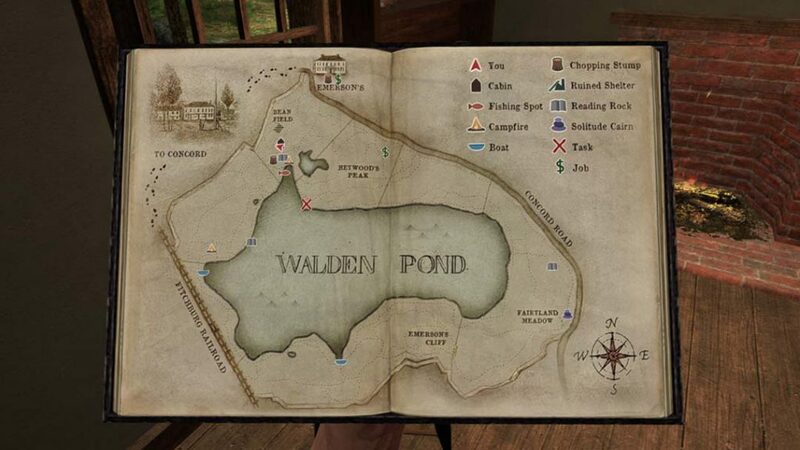 Walden, a Game isn’t only a window into Thoreau’s self-reliant living experiment but also a window into another time as we get glimpses of American life in 1845. What was different back then, and what would Thoreau’s experiment look like today? 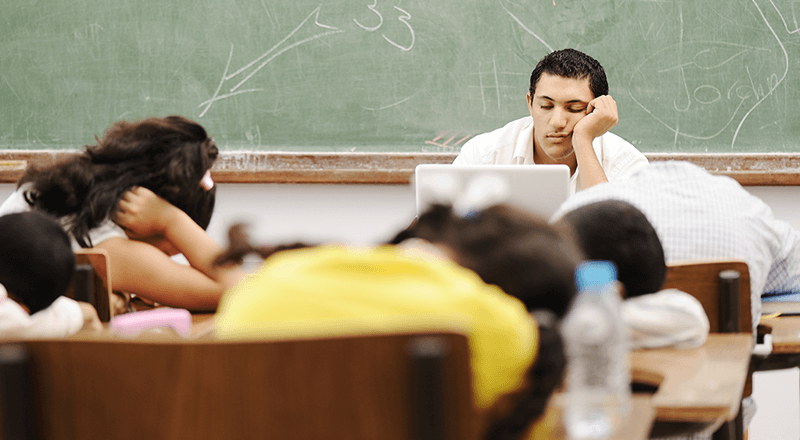 Would students be ready to lend themselves to a similar experience? How much time do they spend observing and listening to nature, and what could they gain from it? 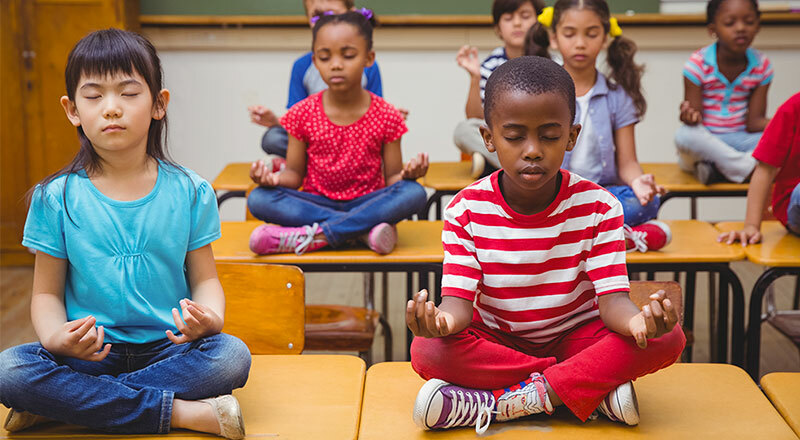 In addition to discussing these philosophical questions and more, students could also practice their reading comprehension skills. The regular price for Walden, a game is about $18 USD, but teachers can obtain it for free by contacting Walden Support and telling them about their class and how they wish to use the game. The game can be run on a Windows or Mac computer with a 3D graphics card. As a note, it can’t be played on Chromebooks. I thoroughly enjoyed my (albeit short) experience of Walden, a Game and felt it achieved its goal of stimulating reflective play. Through the beautiful surroundings and peaceful atmosphere, you’ll feel in harmony with nature, even with mosquitoes buzzing in your ears (which, ultimately, is just another detail to admire).